My introverted, intuitive, intense little self: Take heart. The fact that you're an outlier will always be a challenge emotionally. But you'll come to value this and spin it into an incredibly positive trait. It's a good thing that you like challenges, because the future will be fraught with them. Each one will need your determination, drive, and humor to overcome. You're a clever, funny little girl destined to become a witty, fierce woman and artist. Listen to your intuition. It's your strongest gift and I promise you it is always right. Be kind to and respect your body. She's your vessel through which your spirit shines. Beware of that inner voice. She's a definite part of you: We all have her/him. But that voice always wants more… thinner, higher, better. She thinks she knows it all but she's just an ideal version of yourself that you created. She may never shut up completely, but she can become just a sounding board. Something you can control. The sooner you recognize this, the sooner you'll start to evolve into a master of the mental game that is performance. Surround yourself with the people who will support the best version of you. Not sure what that is yet? That's OK. You'll know when you feel balanced. Remember you have a loving family that will always be proud of you and love you even when you don't love yourself enough. Learn to meditate now, please. Laugh at least once a day. Compare yourself to no one. You, dear, are unique and the gifts that you bring to the table are vast, honed, and powerful. Speaking of honed, cross-train. Listen to your body. Subscribe to training that works for you. Own your extra-ness. Own the loving, generous soul that's just waiting to burst through your expertly fashioned, mysterious exterior. Define your boundaries. You'll have to defend them. Keep your fearlessness and desire for adventure. It'll guide you to the career choice that will change your life. Realize now that being afraid of hearing the word "no" is an absolute nonstarter. Seek out your "yes." You'll get it eventually in your career, life, and love. Believe without a doubt there is a place for you in this ballet world because of the exact reasons you're told there might not be. Your intensity is a gift. Your creativity and willingness to learn from scratch over and over will fuel inspiration in others. The dancers will be many, but there's always room for you if you want it hard enough. You do. You'll forge a brand-new path for not only you, but for the young women following in your footsteps. You'll have an amazing ballet career. Not one littered with awards or titles, but one bolstered by the respect of your colleagues. That's what truly impresses. Lastly, never let anyone or anything dim your light. It blazes brightly for a reason. I know you feel it even now. This reason has yet to emerge into consciousness for you, or for me, for that matter, but trust that you deserve to be here. You also deserve all the gifts this next career chapter brings. 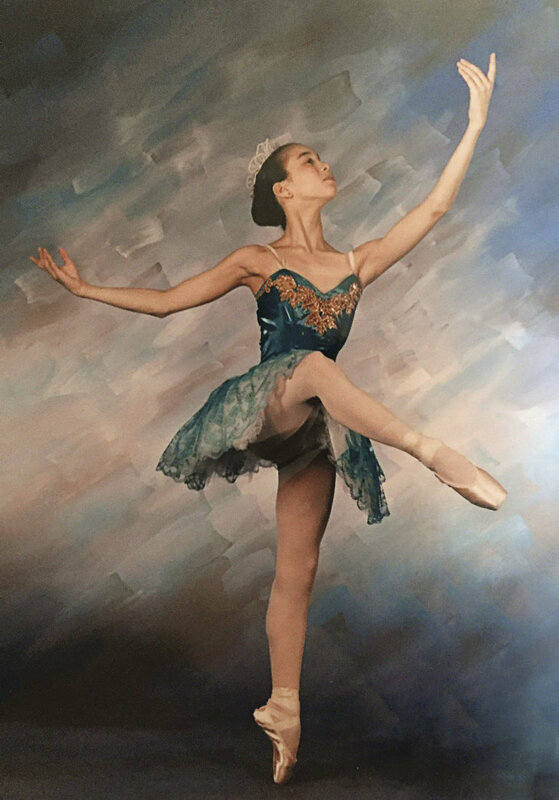 A version of this story appeared in the February 2019 issue of Dance Spirit with the title "Letter to My Teenage Self: Georgina Pazcoguin."